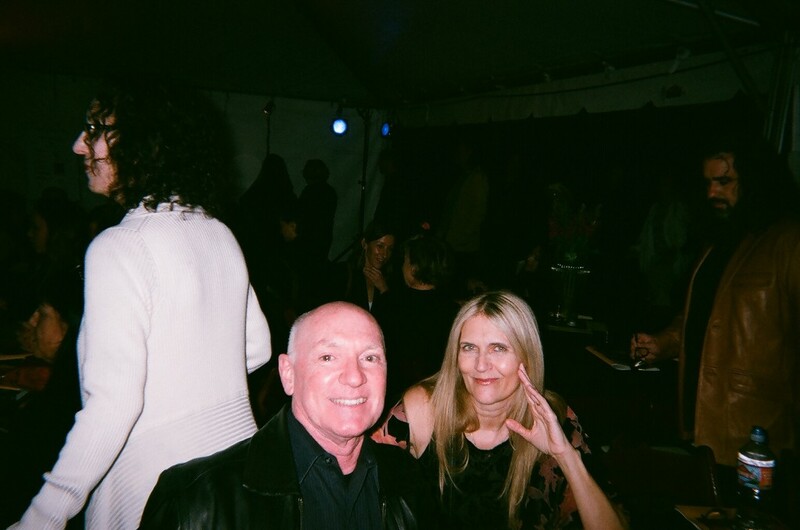 Beyond Baroque’s 50th anniversary gala event managed to be as successful as it was due to a number of facilitators, one of whom was Mike Bonin, the Los Angeles Councilperson representing the 11th district. 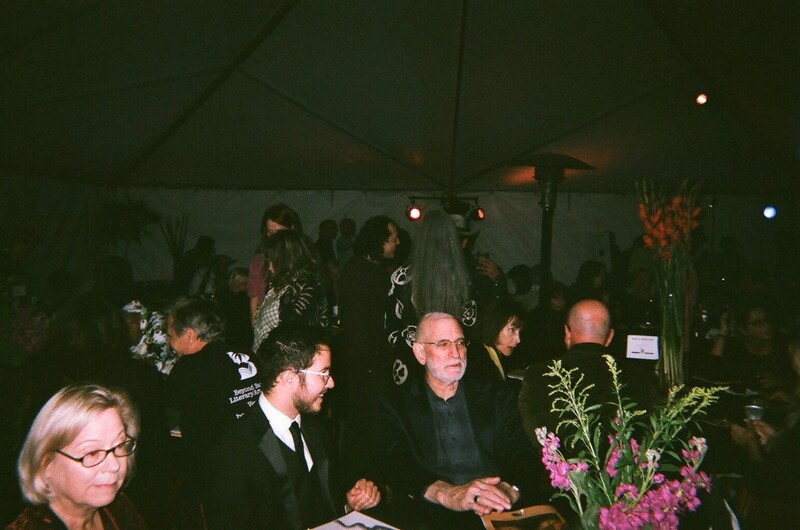 Mr. Bonin’s assistance enabled Beyond Baroque to hold the event outdoors, at night, under a tent put up on a public parking lot adjacent to SPARC and behind the Pacific Resident Theater. In celebrating this anniversary, one thing that was not mentioned was how much Mike Bonin’s predecessor, the late Bill Rosendahl, advocated for Beyond Baroque so that it could be assured of a home at the Venice City Hall well into the future. 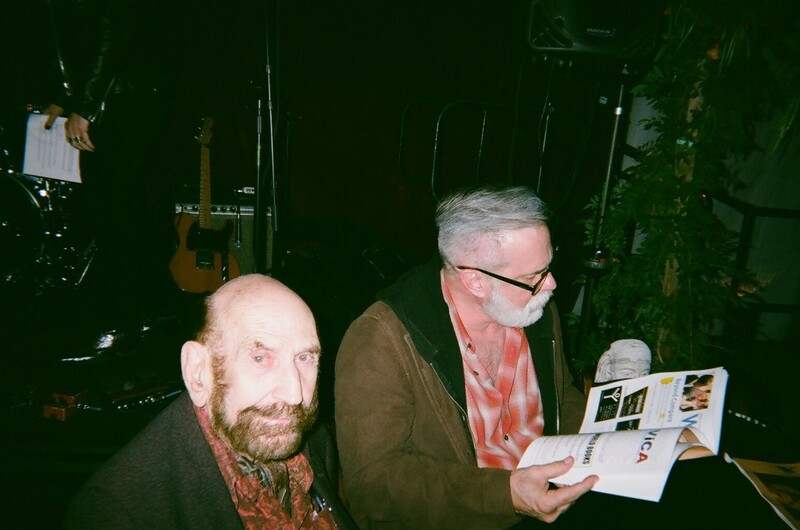 It was due to the hard work of Fred Dewey and Bill Rosendahl that Beyond Baroque was given a 25 year lease late in the last decade. The entire evening, of course, would have been impossible for the founder of Beyond Baroque to imagine back in the late 1960s. The organization was surviving because of his devotion as well as the volunteer labor of Alexandra Garrett, Jim Krusoe, and Lynn Shoemaker, supplemented by a steady trickle of envelopes with $5.00 donations from readers of its early publications. One of the first items of the evening was the presentation of an award to Beyond Baroque’s founder, George Drury Smith. 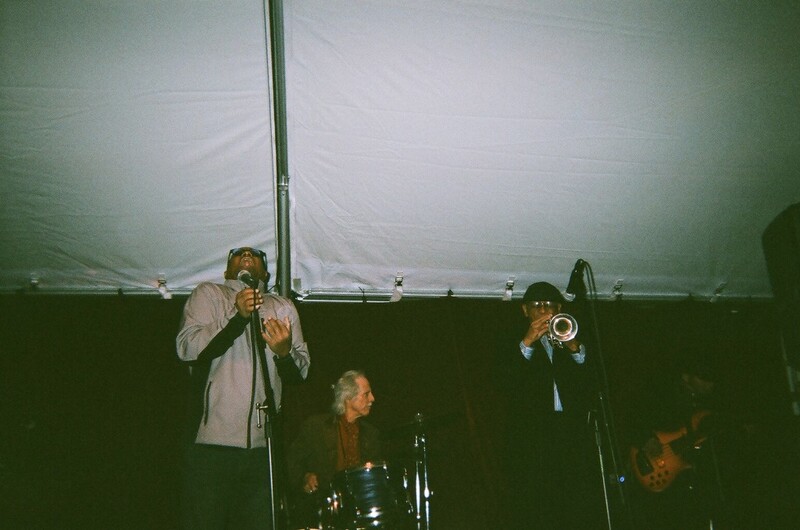 Also, in attendance, were other people who have played significant roles in the emergence of several communities of poets in Southern California. 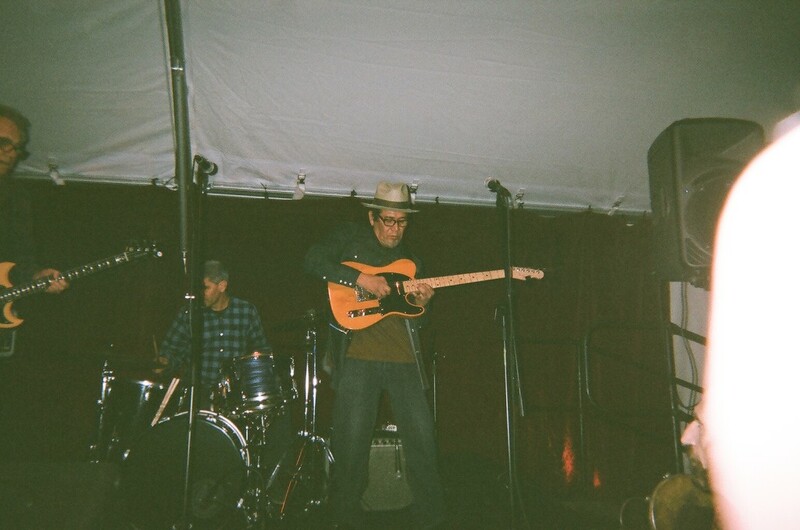 Jack Skelley, for instance, is a poet, musician, and songwriter who ran the NewComp Graphic Center in the 1980s at Beyond Baroque, and organized a memorable series of musical events, under the title Beyond Barbecue. 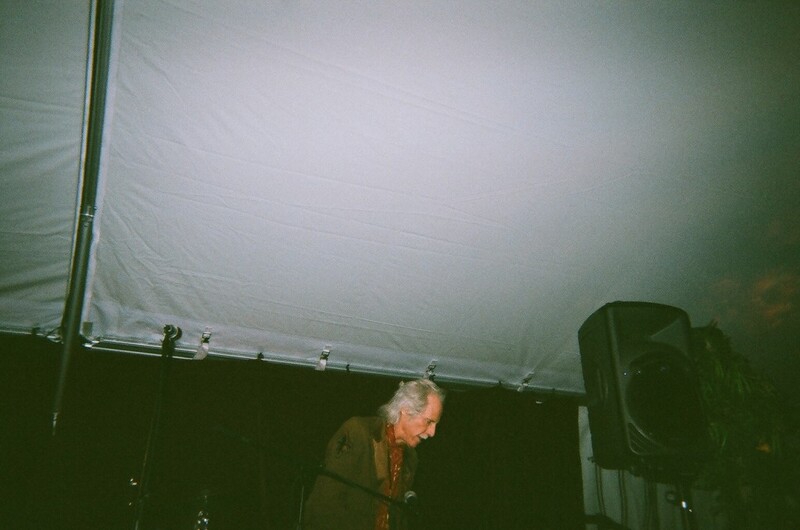 Jack performed a song, “Fun to be Dead,” he wrote with Bob Flanagan the following weekend during a retrospective gathering of poets associated with Beyond Baroque. 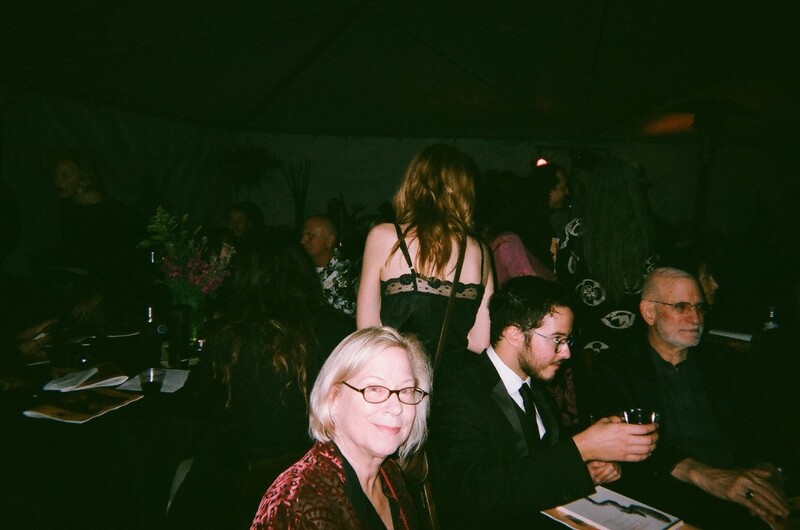 I am also including some photographs of those in attendance at the tables, some of whom would take the stage to make moving acceptance speeches. If there is not a close-up photograph of Viggo Mortensen on stage, for instance, it is simply because I did not want to intrude on him. 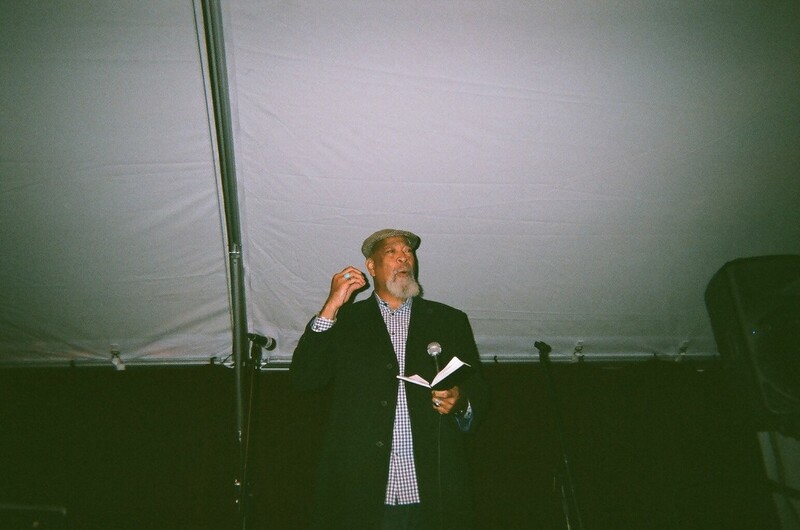 His observation in his speech that he chose to work in Los Angeles when he was “unknown” because he had a “freedom to create” that he did not find available in New York City confirmed the long-held assessment of an earlier generation of poets who gathered at Beyond Baroque. 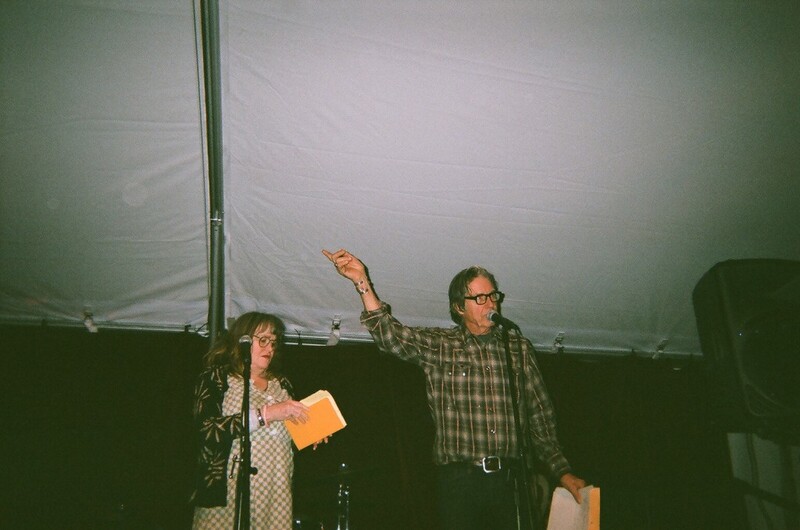 One of the highlights of the recent 50th anniversary gala celebration of Beyond Baroque was a brief reading by Exene Cervenka and John Doe of their poetry, as well as a performance of three of their songs as a finale for the entire event. I was sitting close enough to be able to share four photographs of these very special moments. Once again, these two artists significantly contributed to the enduring success of Beyond Baroque. 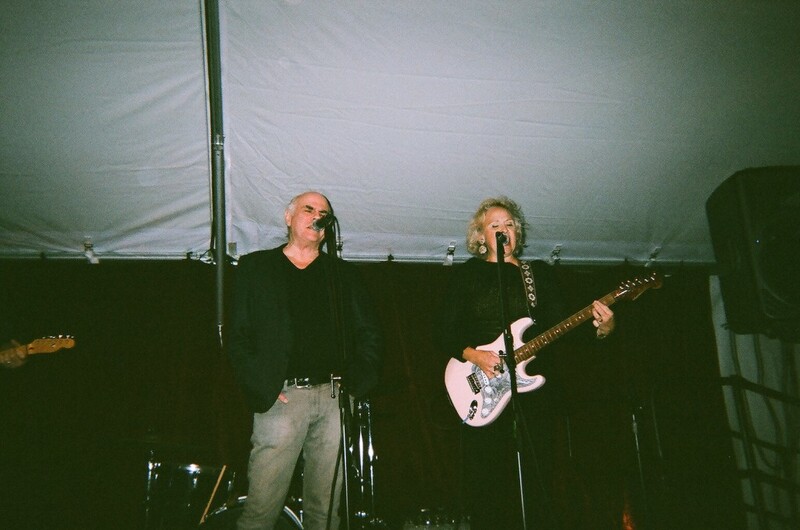 In point of fact, there would never have been a 50th anniversary celebration if the band X had not stepped up and done a fundraiser for Beyond Baroque in the mid-1980s. The institution would have folded then, and now be only a distant memory. 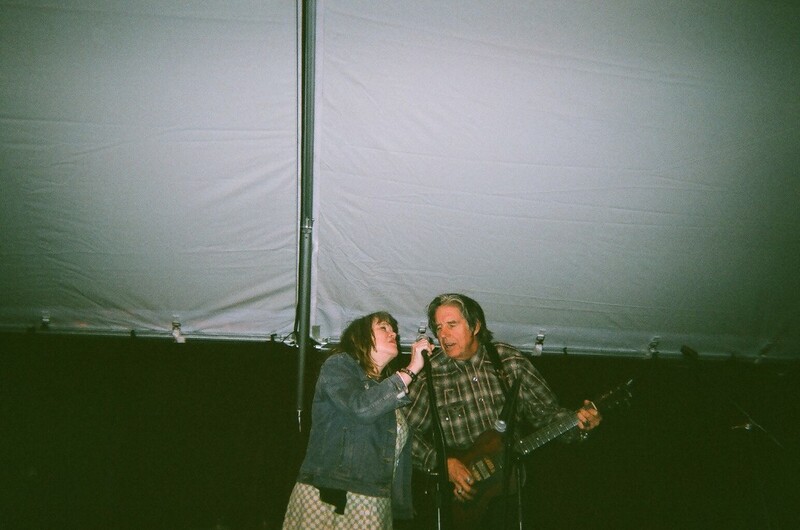 Exene and John seem very modest about their contribution, but I will not by shy about saying it: they have my deepest admiration. 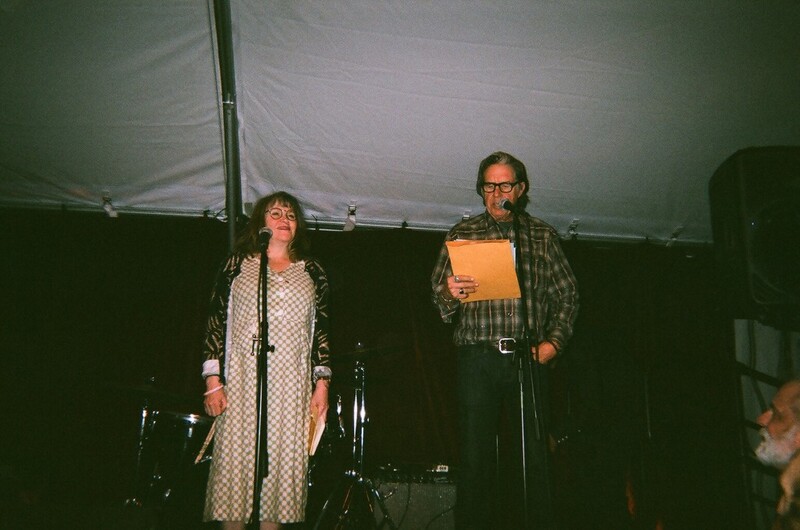 For those not familiar with anthologies of Los Angeles poets, by the way, I would mention that I included both Exene Cervenka and John Doe in “POETRY LOVES POETRY”: An Anthology of Los Angeles Poets (Santa Monica: Momentum Press, 1985). This anthology also included poems by Wanda Coleman, Kate Braverman, Laurel Ann Bogen, James Krusoe, Paul Vangelisti, Martha (Lifson) Ronk, Charles Bukowski, John Thomas, Dennis Phillips, Michael Lally, Ron Koertge, Aleida Rodriguez, Suzanne Lummis, Doren Robbins, Dennis Cooper, David Trinidad, Ed Smith, Michelle T. Clinton, Bob Flanagan, Jack Skelley, Holly Prado, Harry Northup, Peter Levitt, Leland Hickman, Bob Peters, Peter Schjeldahl, Max Benavidez, Peter Schneider, Austin Straus, Murray Mednick, Dave Alvin, and many others. I recently sent George Drury Smith a Christmas card in which I mentioned how the celebration of Beyond Baroque’s 50 anniversary seemed to suspend the event in mid-flight. With the gala planned for November, the entire year slowed down so that the actual coming-of-age fluttered in a variation of Zeno’s Paradox. Now that the celebration is over, the significance of being a half-century old is finally sinking in, I told George, and all of us who were part of its growth are now able to focus on the next increment without the constant drone of nostalgic trumpets. At the same time, we should take note of other anniversaries that have been neglected: Clayton Eshleman’s translation of Cesar Vallejo’s “Poemas Humanos” appeared 50 years, and it deserved a major celebration. Perhaps there was a conference somewhere in which a group of papers devoted themselves to the importance of Eshleman’s work as a translator of Vallejo, and if that is the case, I would be happy to take note of it in this blog. Somehow, though, I don’t hear anywhere near the buzz that should exist. His book had an impact on poetry in the 1970s that is hard to imagine any contemporary volume of poetry managing to achieve. Eshleman continued to work on his translations of Vallejo’s poetry for several decades, and perhaps the subsequent volumes have superseded the original installation and obscured its clarion vitality. Any young poet who is just beginning to read outside of American poetry written in English needs to dig up the Grove Press volume, however, and spend some time pondering how this was the book that enabled many of the late 20th century poets she or he admires to break through the syntactical predictability of post-William Carlos Williams free verse. Let’s hear a rowdy round of deeply appreciative applause for Mr. Clayton Eshleman. I will be reading tomorrow night (Saturday, October 27) at Beyond Baroque at 8 p.m., with Paul Lieber. Half of my reading will be poems from The Headwaters of Nirvana, and half from new, unpublished or very recently published poetry. 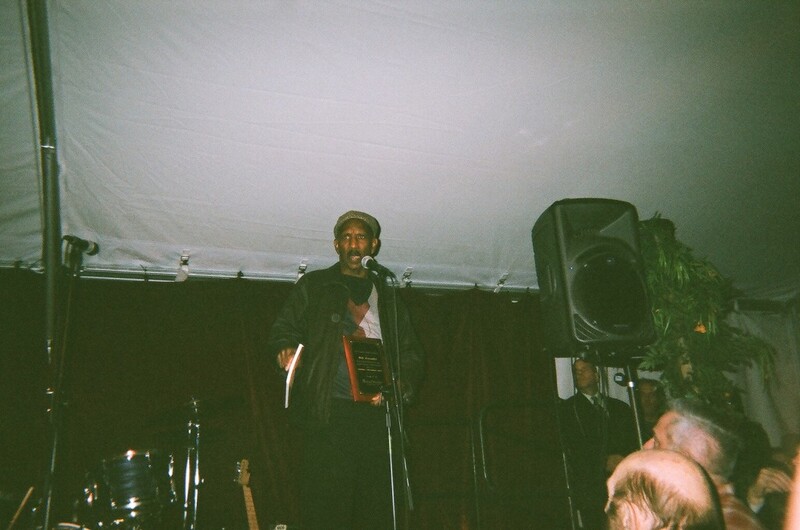 The poet I am sharing the bill with represents a growing subset in Los Angeles-based poetry: the actor-poet. Back in the mid-1970s, the only two such hybrids I knew were Harry Northup and Jack Grapes. 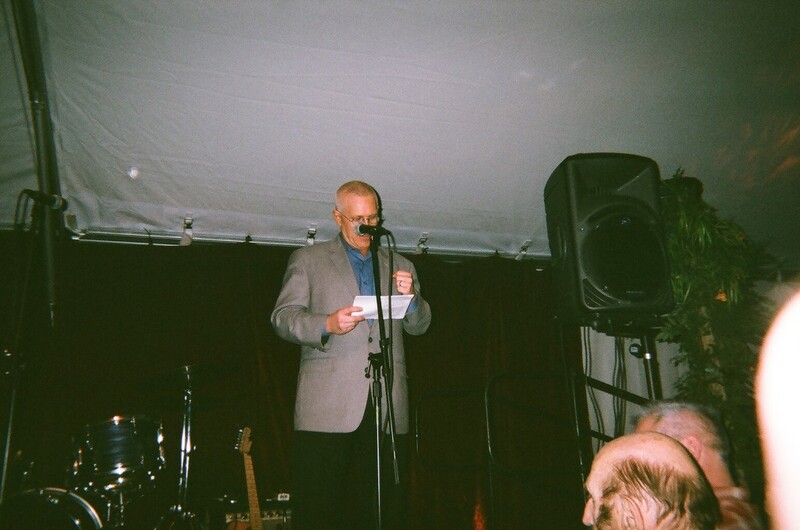 In his best-known book of poems from the period, Grapes specifically played to blend of artistic practice by titling the collection, Breaking on Camera. Grapes went on to write and star in a play, “Circle of Will,” which was one of the best plays I ever saw in Los Angeles. Other poets also acted: Suzanne Lummis, for instance, performed with subtle flair back in a couple of plays at a small theater in Hollywood, and she has used her thespian talents as part of a poetry performing troupe, Nearly Fatal Women, which also features Laurel Ann Bogen and Linda Albertano. Michael Lally moved here in the late 19870s, and accentuated his desire to be known as a serious poet who was also working in the industry with a handsome volume featuring him on the cover in a hipster pose. Hollywood Magic‘s choice of costume for his cover portrait, a leather jacket that seemed to italicize Lally’s cheekbones, was a retro gesture at a time that the punk music scene in Los Angeles was beginning to emerge from the underground of Slash magazine. 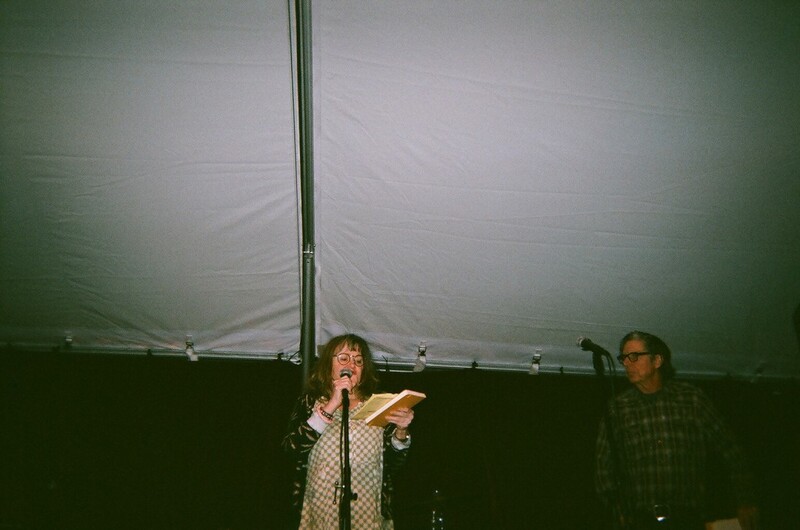 The poet-musician-songwriter has an equal presence in Southern California, too: John Doe, Exene Cervenka and Dave Alvin were all featured in my anthology, “Poetry Loves Poetry” (1985). 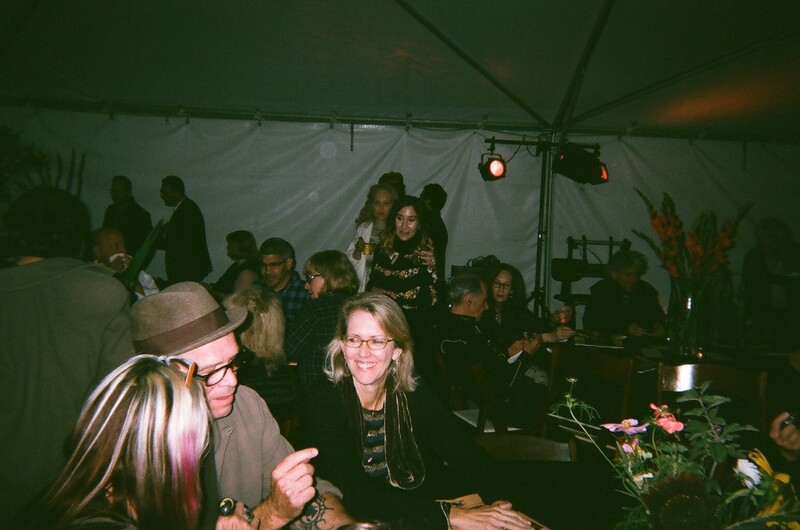 Both John and Exene are going to be featured performers at Beyond Baroque’s 50th anniversary celebration on November 10th, along with another actor who is also a visual artist and poet himself, Viggo Mortensen. Lieber has a considerable number of industry credits; in fact, his Wikipedia entry concentrates on that aspect of his career. His presence as a poet at Skylight, though, was not any more dramatic than it needed to be. 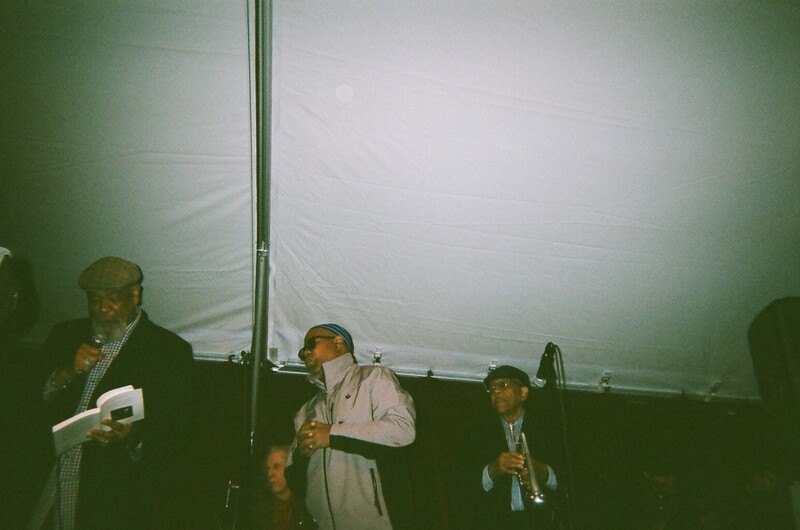 He gave his poems the alertness they deserved, without any unnecessary oscillation. I look forward to hearing them again on Saturday, and hope you can join us. Post-Script: I recently had the pleasure of working with Paul Vangelisti on a production of a twenty-minute monologue I wrote, “The Aging Comedian as Letter N.” Paul is a poet-translator-editor-publisher who also was a producer of radio drama, “Theater of the Ear,” for ten years at KPFK. He has a new broadcast medium now, Radio Magra, and he asked me to consider whether I wanted to perform the monologue or if we should try to find a professional actor. As we refined the piece through several rehearsals, Paul decided that I was doing a decent enough job that we would stick with my performance. We only did one take, and I look forward to hearing how it sounds on the airwaves. Tickets for the Beyond Baroque’s Gala Bacchanal on November 10 will go on sale next week! 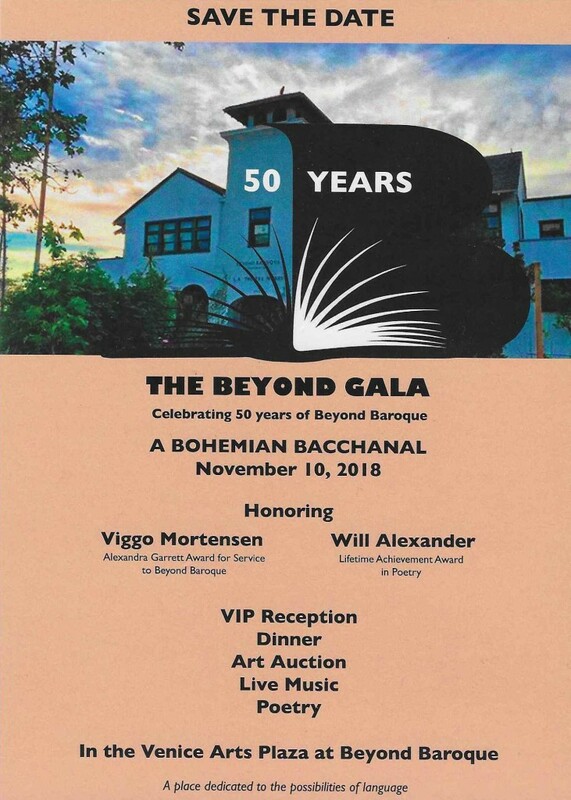 This celebration of Beyond Baroque’s 50th anniversary will be graced with the presence of poet Will Alexander, who will receive a Lifetime Achievement Award, and Viggo Mortenson, an artist, poet and actor who has a rare understanding of Beyond Baroque’s contribution to the literary arts on the West Coast. Mortensen will receive the Alexandra Garrett Award for 2018. Mark the date on your calendar to join us in Venice. If any reader of this blog knows individuals or a business willing to be a sponsor of this event, please do contact Quentin Ring or Richard Modiano at Beyond Baroque: (301) 822-3006.